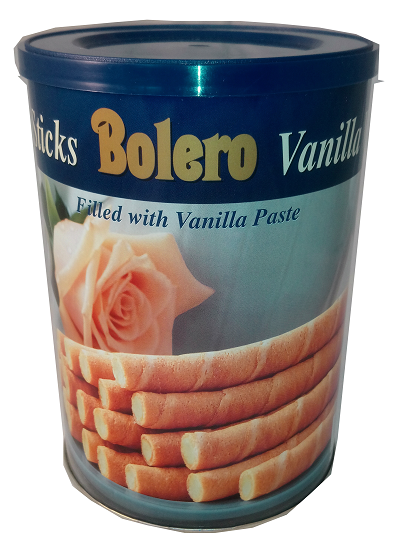 A 400g tin of vanilla paste filled wafer rolls. 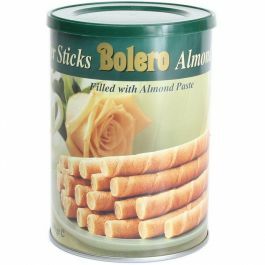 A 400g tin of almond paste filled wafer rolls. A dark chocolate covered crunchy ginger biscuit. A 250g pack of all butter shortbread fingers from Walkers of Speyside. Suitable for vegetarians and certified Kosher OUD. A 500g pack of All Butter shortbread shapes from Walkers of Speyside. A 250g pack of All Butter shortbread shapes from Walkers of Speyside. Delicious Viennese Whirls half coated in dark chocolate. Ingredients: Fortified WHEAT flour, vegetable oils, dark chocolate coating 16% ( cocoa mass, sugar, cocoa butter, anhydrous MILK fat, SOYA lecithin, natural vanilla flavouring), sugar, MILK powder, flavouring. Dark chocolate contains 52% cocoa solids miniomum. Delicious Ginger biscuits half coated in dark chocolate. 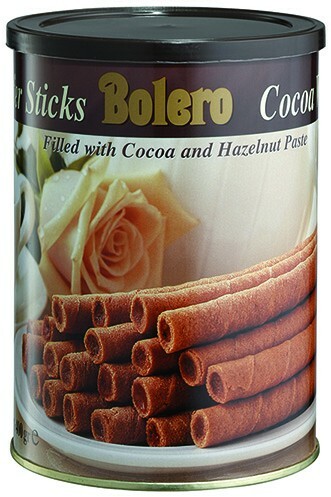 Ingredients: Fortified WHEAT flour, dark cocolate coating 23% (cocoa mass, sugar, cocoa butter, anhydrous MILK fat, SOYA lecithin, natural vanilla flavouring), sugar, partially inverted refiners syrup, vegetable oils, EGGS, raising agent: sodium bicarbonate, ground ginger, ground nutmeg, salt. Dark chocolate coating contains cocoa solids 52% minimum.